At the Fertility Center of San Antonio, we customize treatments according to the unique needs of each patient. To help maximize your chances of conceiving, we perform ovulation induction at our San Antonio, TX, fertility clinic as the first phase of in vitro fertilization (IVF) treatment. To learn more about what to expect during ovulation induction, contact our office and schedule an appointment. Ovulation induction is a form of hormone therapy used to stimulate the simultaneous development of multiple ovarian follicles, which contain the eggs that are released during ovulation. Using either injections or pills, we will administer fertility medications that contain the same types of hormones released by the body during a natural menstrual cycle. This procedure also typically involves the use of Lupron, a drug that prevents women from ovulating too early, which could jeopardize proper egg harvesting. By increasing the number of healthy eggs a patient produces, we can improve the chance of a successful pregnancy during fertility treatment. Your doctor can explain more about the hormones that are appropriate for you during a personal consultation. Why is Ovulation Induction Performed? To assess how your body is responding to the medications and ensure proper development of the eggs, you will be closely monitored with blood tests and ultrasounds during ovulation induction. 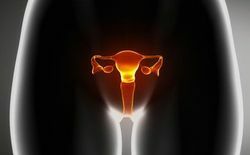 Ovulation induction is often used as a treatment for women who suffer from anovulation (a menstrual cycle during which no oocyte is released) or oligoovulation (infrequent or irregular ovulation). Patients who do not produce sufficient levels of the luteinizing hormone, which helps to trigger ovulation, may also be good candidates for ovulation induction. Additionally, many women will undergo multiple IVF treatment sessions in order to achieve pregnancy. Ovulation induction can prevent the need for egg retrieval before each new treatment session. If you are interested in egg freezing, you may be well-suited for ovulation induction. By maximizing egg production, this procedure enables our doctors to freeze more eggs for future use. Even if you experience regular ovulation cycles and produce healthy eggs, you may still benefit from ovulation induction, since it can help you yield multiple healthy eggs during a single cycle. We can determine your candidacy for this procedure during a personal consultation. The timing of hormone therapy is important in order to stimulate the ovarian follicles and the release of eggs. For best results, ovulation induction should be performed at the beginning of your menstrual cycle. During a typical natural ovulation cycle, a single egg is produced. With ovulation induction, we often help a patient produce multiple healthy eggs in order to improve their chances of success. Our team is committed to providing our patients with state-of-the-art, cost-effective care. To learn more about how ovulation induction is used during IVF treatment, contact the Fertility Center of San Antonio today.